Looks so yummy! 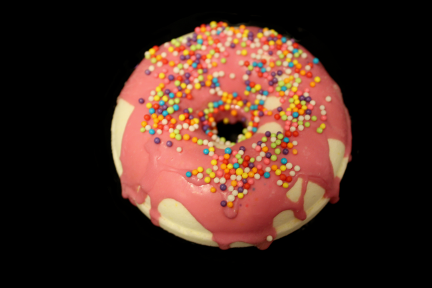 Indulge yourself or give as a gift; these donuts are actually bath fizzies that are guilt free with zero calories! 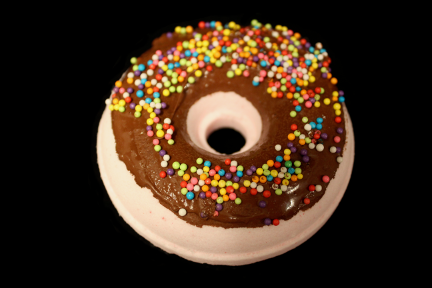 They come in a variety of fragrances with sprinkles or pink Himalayan salt and epsom salt toppings and pink, green, or "chocolate icing" (soap). These donut bombs are so awesome! I love all of Yumscent's bombs; the moisture is incredible and the scents are so strong and fragrant. 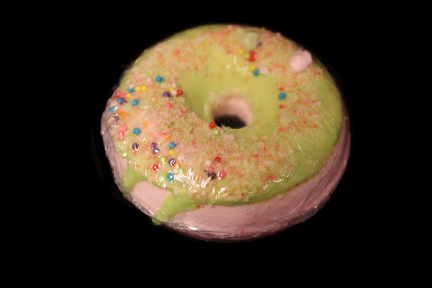 These donuts are just as wonderful as the regular bombs, and they have the added cuteness factor going too :) I tried the Apple Cinnamon scent, and loved it. I can't wait to try the rest!